I bought some Halloween stamping plates a while ago and am excited now it is October to use them! 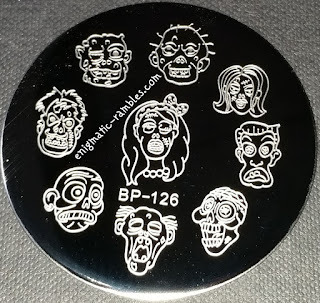 This is a regular sized circle stamping plate, it has nine nail images all zombie heads. 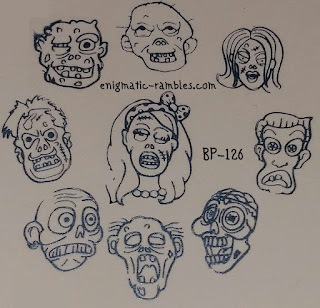 I found that all of the images stamped well, I like all of the zombie faces as I am not good at drawing faces and this saves me the job. 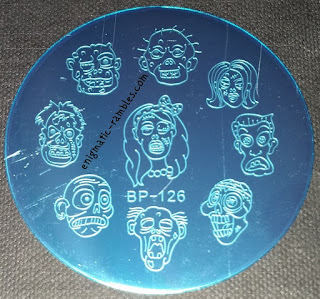 This plate is great for reverse stamping. 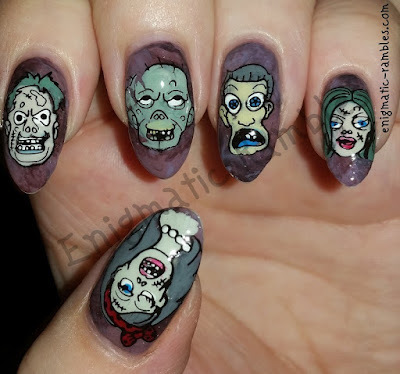 And here is a link to all of the nail art I have done using BP-126.